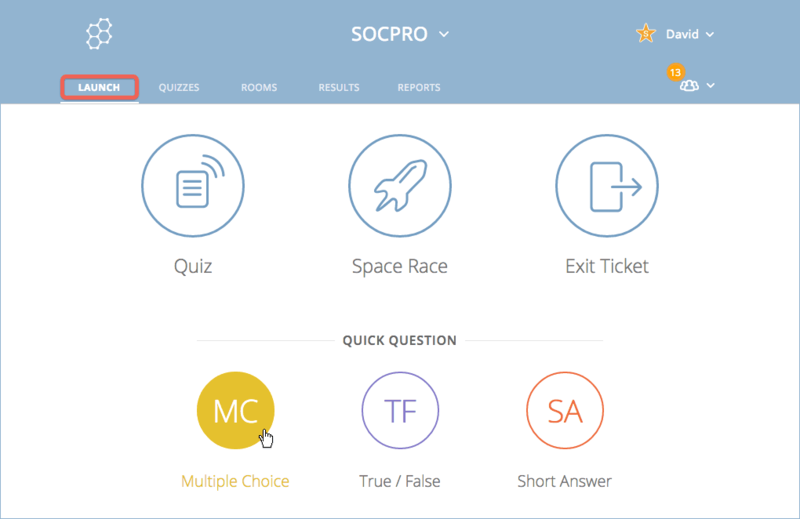 Click on Launch, then click on Multiple Choice. 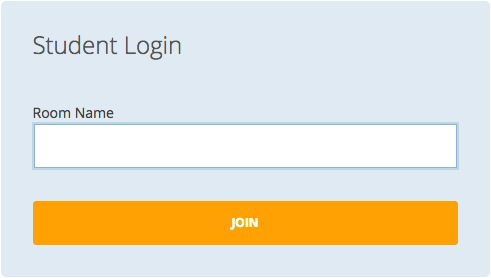 Multiple choice options are sent directly to the students who are logged into your room. 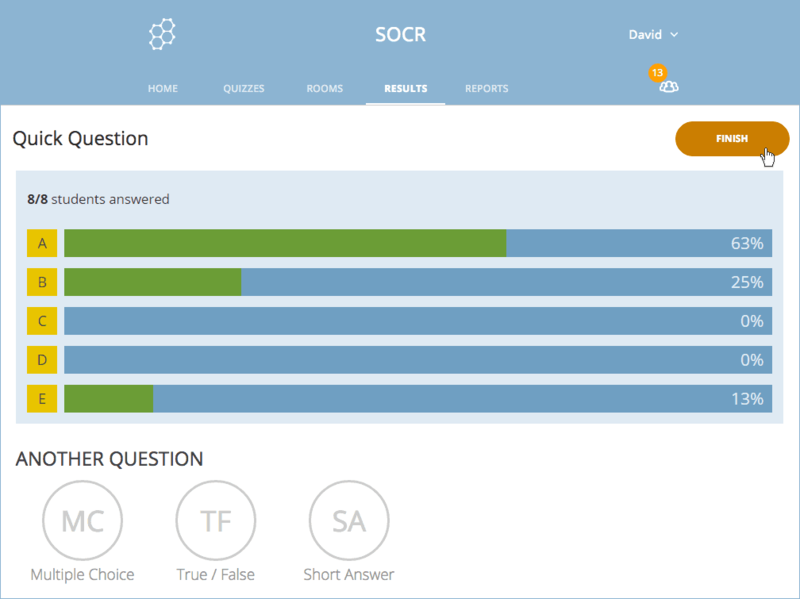 When your students are finished, they click Submit Answer and Live Resultsare updated on your screen in real time. 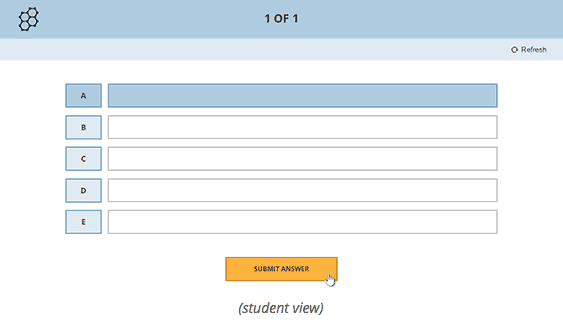 Note: Students can only click Submit Answer once, but can select multiple items. When you are done with the multiple choice activity, click on Finish; your students can then Log Out or await another question. Note: You can start a new Quick Question right from Live Results—just click one of the question types in the Another Question section at the bottom of the screen!